Howdy, Do you think that your Twitter stream is too noisy? Are you following too many people on Twitter? Or the tweets you feel is important is mixed up with the 100's and 1000's of the other useless tweets. Then for you, It would be a good idea to unfollow the users who were inactive or who did not add any value to your Twitter timeline. Here we are discussing the topmost best twitter unfollow tools that you can use to unfollow the users who don't follow back or who are not at all active or someone who tweets very often. If you unfollow such people then it will make your Twitter profile look clean and authentic. Unfollowing the non-followers will actually give you the chance to connect with more Twitter users. This is because you cannot follow more than 2000 people following you. It means if you don’t unfollow non-followers you are missing it out. Unfollowing people not related or compatible with your business will make you have more time to concentrate with others who have enough opportunities for you. Also If you want to unfollow Twitter users in bulk, there are several great apps discussed here that can help you with this process. So here I will be sharing a list of best tools that you can use to find those Twitter profiles that you are following, but they are not following you back. I personally think that unfollowing the non-followers is wise step, it's just because it will help our Twitter profile not appear spammy. Moreover in order to appear authoritative you need to follow only accounts that provide value. 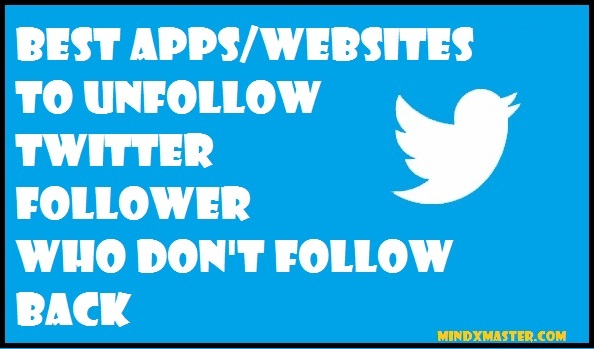 So use these tools to quickly unfollow your Twitter followers that aren’t contributing much. If you are tired of unfollowing those non-followers manually or removing fake and inactive Twitter profiles from time to time, this post will demonstrate the top 16 Twitter unfollow tools to mass unfollow non-followers. Some of the best feature of Circleboom is ‘Smart Search Feature’ which helps in finding ‘Whom To Follow’. You can also search Twitter profiles, bios and tweets for the trends with your interest. Circleboom is also capable finding the Twitter accounts and Tweeting using the same Tag/ Hashtag. They have spam protection options with lots of filters to avoid duplicate actions for Follow or Unfollow. circleboom.com is the most affordable and best twitter management tool available at great prices. You can also use it for Free with some limitations. Crowdfire is free Twitter management app and its unfollowers feature is best. You can get rid of Twitter accounts that are not following you and thus can keep your account clean. Crowdfire has dedicated android and IOS apps to help you clean your Twitter profiles on the go. ​You can sort the nonfollowers bases on newest first or oldest first. You can sort the non-followers on a variety of factors including date of follow (so those old followers who never followed you back can get the boot). Every day you get to unfollow or follow 25 people for free using CrowdFire. If you want to increase that daily limit, you can always upgrade to a paid subscription. CrowdFire also offers fully-functional iOS and Android apps, and it is probably the best Twitter management tool for Smartphones. Anothe best app for Twitter users. Statusbrew is the most simple and straightforward app to manage Twitter followers. It is a more powerful application to track manage your Twitter and Instagram community. To start with Statusbrew, just click on the Sign in with Twitter or Instagram link on the front page to login to the website. In addition you can use it to send DMs, mention influencers and copy the followers list of influencers to grow your community. You have to authorize the app to access your information from Twitter and Instagram. You can remove the unfollowers with just simple clicks with their powerful dashboard. If (for some odd reason) you have a some problems and you are following too many accounts then you may want to consider SocialOomph’s professional program, which features the capability to unfollow very Twitter user you are following and start fresh. 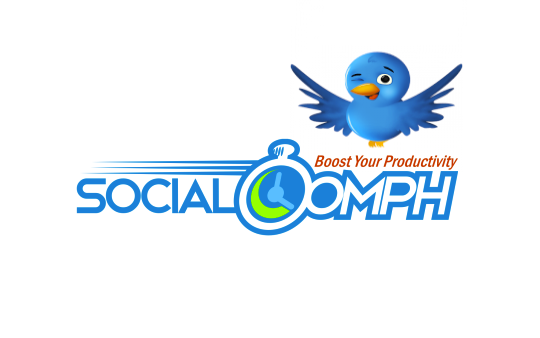 Social Oomph started out as a service that just focused on helping Twitter users become more productive and they soon expanded to include other social platforms such as; Facebook and Linkedin. Check out it's plans and pricing for pro account with this feature. Just log in through your Twitter account and enter a number to depict the number of days a Twitter account is inactive since. This is helpful to categorize users who haven’t tweeted since a definite time and quickly unfollow them. if you like to use Twitter to engage with other Twitter users, Untweeps is not a bad choice if you’re looking for a free option. bombarding you with with multiple @ mentions, only tweeting links, repeating the same URLs in their tweets, posting identical tweets, are perpetrating app spam, using advertising networks, using "other dodgy behavior," haven’t had any Twitter activity in over a month, have fewer than one tweet, don’t interact with anyone, or are bots. Via this report, you can choose which of these followers who engage in this behavior you want to unfollow. Follower Filter is a useful Twitter unfollower tool because it has more amazing feature apart from the ability to unfollow. What I like most about this tool is that you can sort your lists based on many things, my favorite being “last activity”. This way, I can unfollow those non-followers who are not active, allowing me to improve my ‘follow to followers ratio’. Socialbro is a also a very powerful Twitter tool that is a must keep in your social media toolbox. 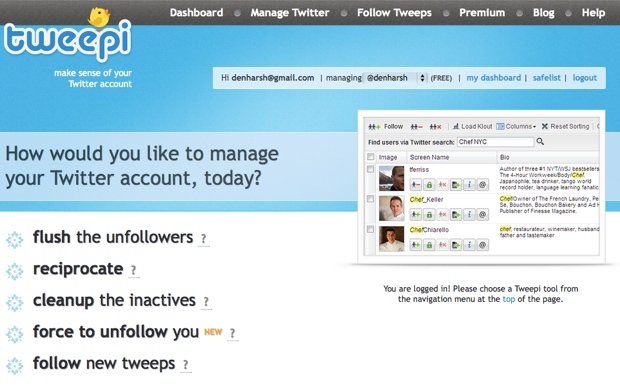 Socialbro's Unfollow tool is pretty simple yet has a very powerful interface. Just login to socialbro with your Twitter account. Go to the dashboard and click on the community option on the top bar. It displays all the users and many filters to show the unfollowers or people not following back. Besides helping you to mass unfollow Twitter users, Socialbro has many other functions like Audience insights which gives you powerful insights about your follower stats. Analyze competitor helps you to track the progress and efficiency of competitor Twitter accounts by studying its changes in strategy, evolution with time etc. Collaborators handles the teammates that work in your Twitter strategy. You can control which team mate has how much access to your specific Twitter account. Tweetadder is the beautiful tool. It has a wide range of filter unfollowing people. You can use tweetadder to Unfollow people who don’t follow you back or have recently unfollowed you. Also you can Unfollow people with spam profiles like no profile picture or default egg gravatar. You can also filter according to the people who are too talkative or too quite (don’t tweet enough) or people who speak a different language than you do. UnfollowerStats is a Twitter App that is very simple and easy to use. It helps you find your Twitter unfollowers and see your follow/unfollow stats. You can find out your unfollowers by one click. RoboFollow is a third part tool to get more twitter followers. Get to know who un-followed you recently, Who are not following you back and Copy followers of your competitors. It also offers the following services. Understand your twitter account with a beautiful dashboard. As of 3 December, 2015, Tweepi's 'Not following you back (formally Flush)' has been removed at Twitter's request. So tweepi now don't support the unfollow feature. But if you Want to make your Twitter profile clean and engaged then Tweepi is a simple tool, and you can sort through the list and unfollow them one by one. Tweepi is not as fast but is visually good. Friendorfollow is a plain and free way to unfollow users who are not following you back on Twitter. It also similar features for tumblr and instagram users. You can quickly see which friend is following you back and which not and thus unfriend them. You can also export this list of Twitter users in a .csv file for future reference. option to select each user and unfollow them. You can also use Manage Flitter to sort Twitter users by their lack of avatar, their activity level, how talkative or quiet they are, and by searching for bio key words. Manage Flitter has also a unique feature that lets you unfollow the most talkative (Who tweets very often) Twitter accounts you follow it also has an ability to find fake Twitter followers. This will help you to keep your Twitter account noise free and concentrate on important Twitter news feed. One of the coolest feature of manage flitter is it shows you the number of Twitter user you have followed. That means if you see @himanshux22 it shows you the serial number at which you followed himanshu since the starting of your account. It has many other visual pleasures and filters you would love once you log in. iunfollow.com is a simple free tool that helps you to unfollow the Twitter accounts who don't follow back. It has other exiting features that help you manage your Twitter account easily. Discover and unfollow Twitter users who are not following you. It's the easiest Twitter unfollow tool. unfollow.ferrastudios.com is a also simple free tool similar to iunfollow.com that helps you to unfollow the accounts who don't follow back. You can find people who Unfollowed you on Twitter and unfollow them. Also you can see the FolowBackRate of your followers. whether you want to see users by screen name, how many followers they have, how many they are following, their number of tweets, or date they last tweeted. If any of this data is important to you in determining who to unfollow, TwerpScan is a great option for its price and helps you ensure you don’t remove too many followers too fast, which can cause Twitter to block your account temporarily. 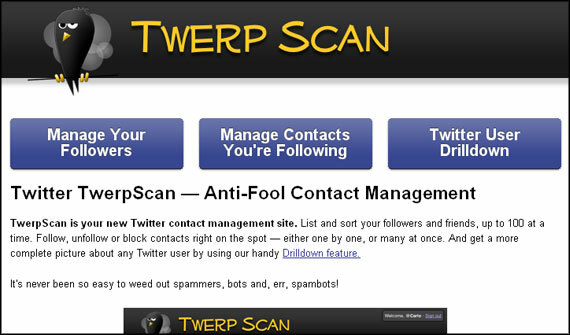 However, if you’re looking to remove Twitter users who are simply not following you back, TwerpScan won’t really make your task any easier. It will help you with the sorting Twitter accounts in systematic way. Thats all in the list for now. You can use any of the above mentioned app/website to remove the spammy users and unfollow the Twitter users you don't like. I will try to add more such apps to this list If I found them important and appealing. If you are using any similar tools that you have found particularly useful, please feel free to share them with us in the comments. Ask any question in the comment area.